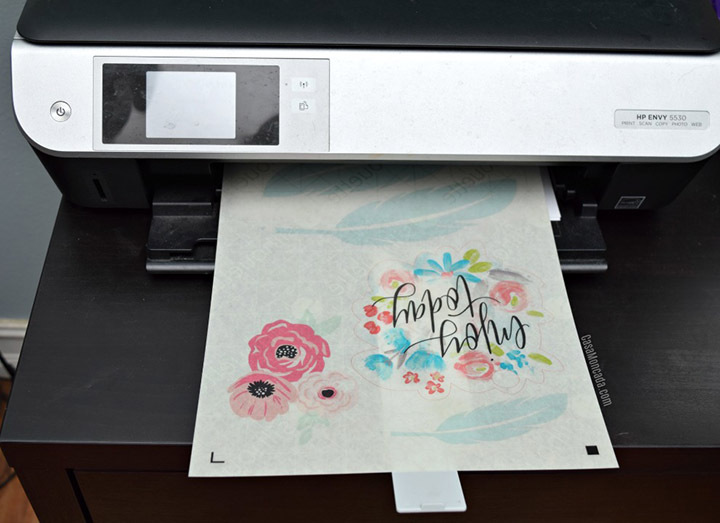 Have you tried using Shrink Plastic Sheets with your Silhouette? I haven’t, but this guest post by Felicita from Casa Moncada makes me want to go try it right now! 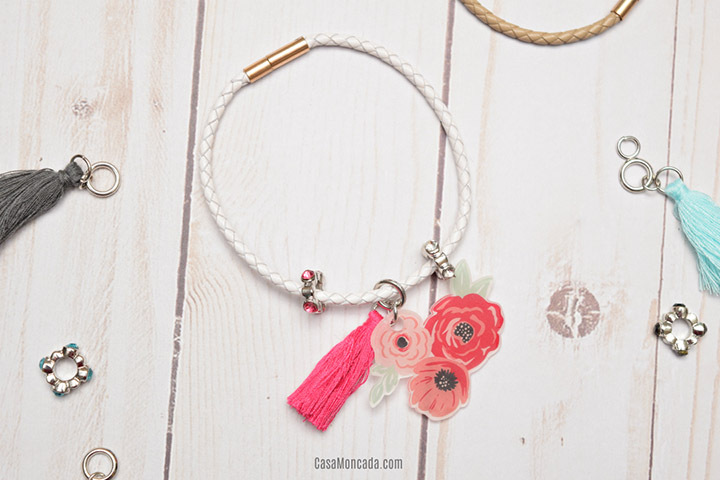 She made the most adorable floral charm bracelet. 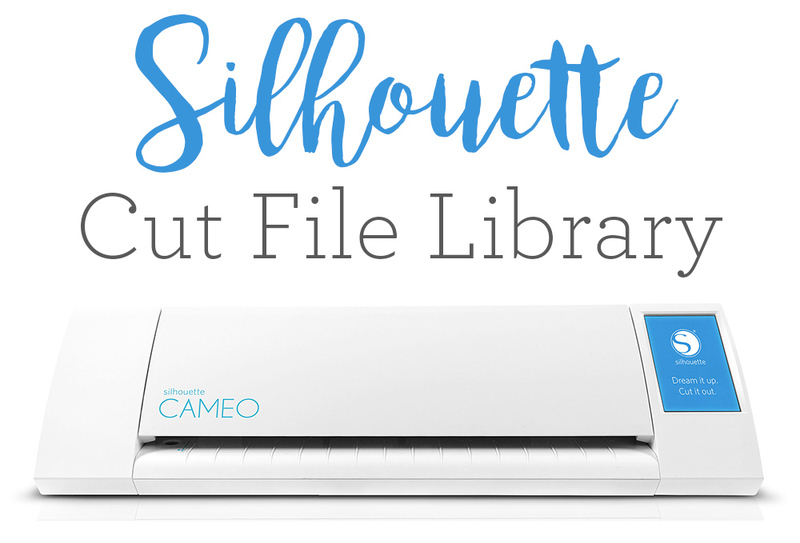 I hope you’re inspired by this Silhouette Shrink Plastic Tutorial! I recently discovered shrink plastic and its amazingness! 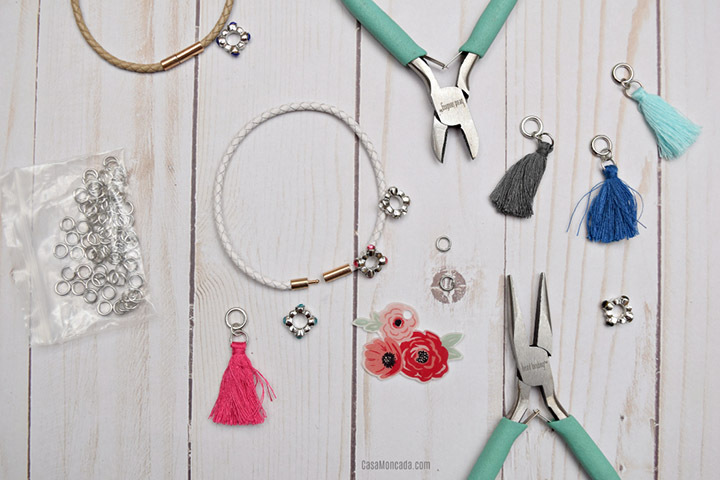 The material is so versatile – I’ve made keychains, ear rings, and more! 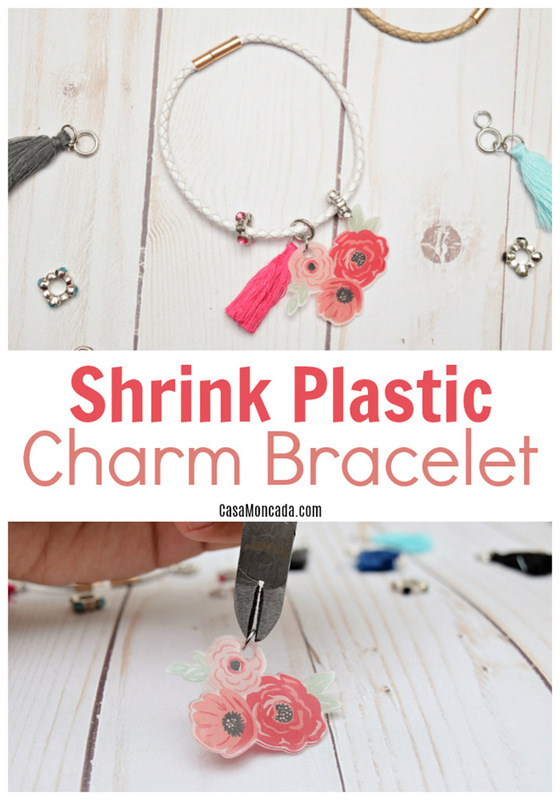 Today, I’m going to be showing you how to make your own bracelet charm using Silhouette Shrink Plastic. 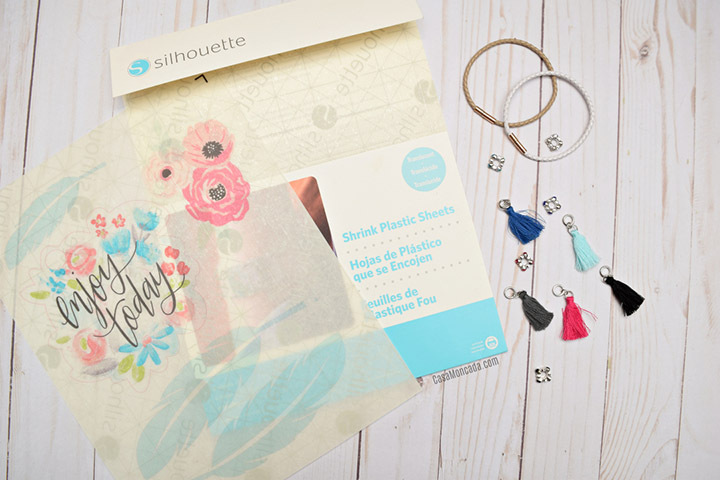 Silhouette Design Store is filled with so many designs that are perfect for making charms. 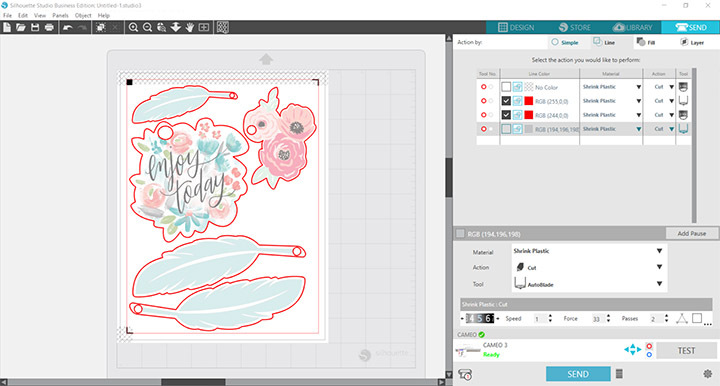 I kept it simple and used print and cut files but you can use any design you want. 1. Open Silhouette Studio and setup the page by changing the page size to 8.5 x 11. Turn on registration marks as well. 2. Click over to your library and select the design you will be using. Arrange it on the page and size it to what you need. Keep in mind that the shrink plastic will shrink significantly. Tip: Add different sizes of your design to be sure you get the correct size. 3. Use the shape tool to draw a small circle. Place the circle on the edge of the design. Select the circle and the design then click the modify panel. Click “subtract” to create a hole on the design (for the jump rings). 4. Once your design is ready, send to print. Be sure to load your shrink plastic sheets in your printer correctly (Printers load differently so be sure to test). 5. 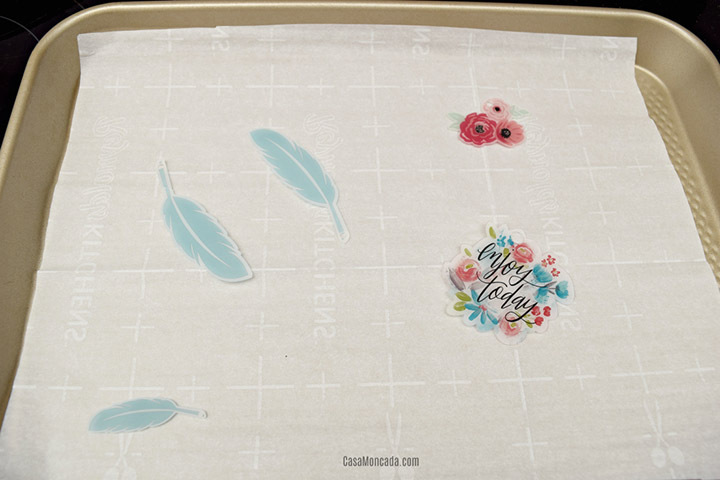 Place the shrink plastic sheet on your Silhouette mat and load it. 6. Go to the Send screen. Be sure only the edge and the circle hole is going to cut (I used cut by line). Select the material you are cutting – Shrink Plastic. Send to cut. 7. Carefully remove the shrink plastic designs. Remove the Silhouette backing. 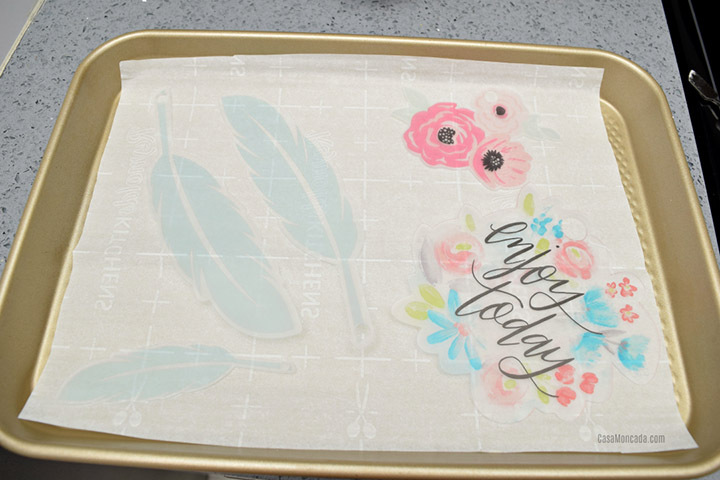 Place the shrink plastic piece(s) on a cookie sheet. Preheat the oven to 325 degrees. 8. Once they have shrunk (a few minutes is all it takes – I stay by the oven) carefully remove from the oven. If they are not laying flat. Quickly use a spatula or something flat and press down to flatten. 9. Use the jewelry pliers to open the jump ring. 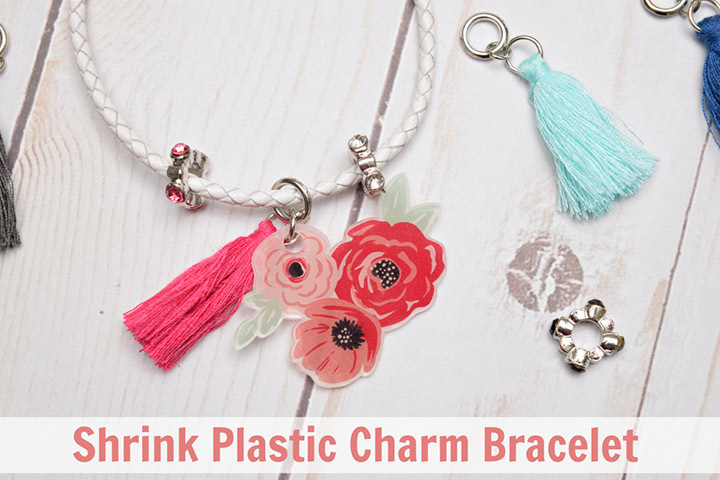 Place the jump ring through the hole of the shrink plastic design then loop it through the bracelet. You are all set! I love that I can personalize jewelry. I’ve done necklaces, keychains, and pins using shrink plastic. 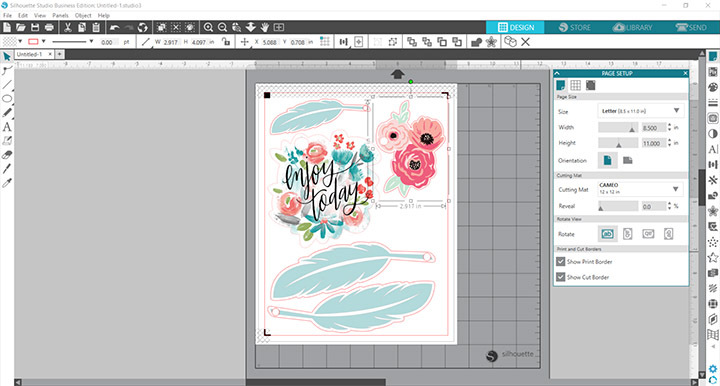 Silhouette Design Store has so many designs that it is easy to create something you love. Plus, these are perfect for gift giving! 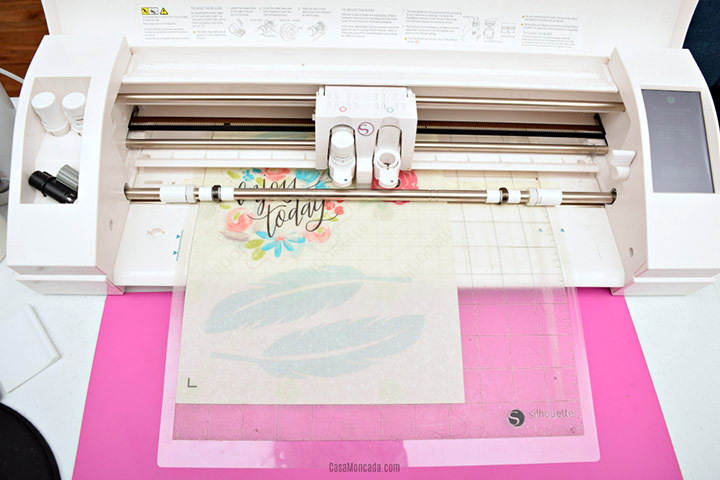 Have you ever tried Shrink Plastic using the Silhouette? Felicita Moncada lives in South Florida with her husband, two kids, and German Shepherd pup Roxy. 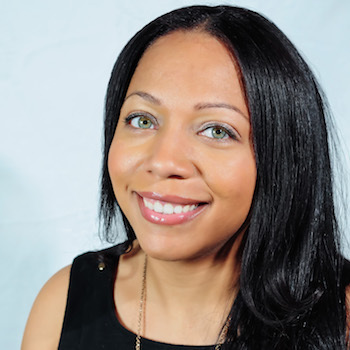 She runs a lifestyle blog called Casa Moncada featuring DIY/Craft projects, easy recipes (her favorite kind of recipes! ), and shares her family’s adventures. She loves creating something every chance (usually using the Silhouette Cameo) but also enjoys a good book and some reality TV. Follow along with Felicita’s creative ideas!